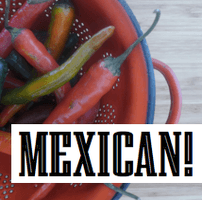 Sydney has a glut of pretty average Mexican food right now and we plan to remedy that! Join Helena Garcia Garza from Fuego de la Tierra as she takes you through the process of making your very own corn tortillas. She’ll be covering the history of Mexican cuisine, the importance of corn in Mexican food, the process of nixtamalization (a fancy word for preparing corn to make tortillas) and then showing you how to make tortillas from scratch. And to make sure you know how to fill the tortillas, she will demystify essential mexican ingredients for you so you know your chipolte from your guajillo. We will have a bunch of tortilla making essentials (the right flour, press etc) on the night so you can practice making your own fresh handmade tortillas as soon as you get home.